Update May 15, 2017: Eidos Montreal’s studio head has quashed the rumour of another Thief game. Last week, movie site Straight Up Films reported that “a fifth sequel” in the Thief franchise is “currently in development” and will be released to coincide with the forthcoming movie. Today, a sarcastic tweet by Eidos Montreal studio head David Anfossi heaps scorn on the rumour. Would you like to see any of our upcoming PC games list get the movie treatment? Here’s the tweet. Anfossi implies that Thief 5 doesn’t have a team or a budget, and then there’s the phrase “forget it”. Seems he doesn’t think much of Straight Up Films’ suggestion, which, at time of writing, is still live on their page about the Thief movie. If you didn’t know the Thief movie was happening, here’s our coverage of its announcement. Last we heard, Eidos Montreal will work on to the second game in Square’s deal with Marvel after finishing the next Tomb Raider game. The Deus Ex franchise has been put on hold to accommodate that decision. Original story May 11, 2017: As wereported in Marchlast year, there’s a Thief movie in the works. It’s being handled by Straight Up Films, with a screenplay written by Adam Mason and Simon Boyes (Misconduct, Not Safe for Work), though there’s no director signed on just yet. 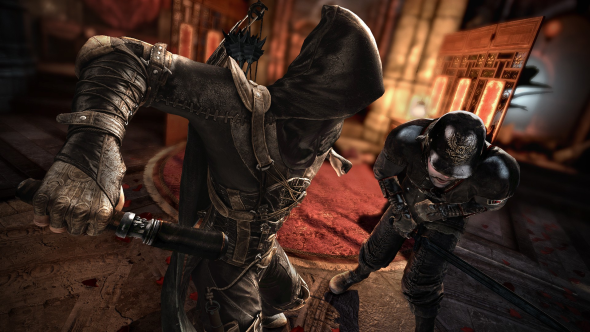 “Thief is an action epic poised to be the next great multi-platform franchise. Originally released in 1998 by Eidos Interactive (Deus Ex) and distributed by Square Enix (Tomb Raider, Final Fantasy), the Thief series has spanned over fifteen years and four sequels continually retaining loyal audiences and attracting new fans with each iteration. Yep, they reckon there’s another Thief game in the works. This seems a bit strange, especially since the last one didn’t do all that well. I mean, Square Enix dropped Hitman developers Io Interactive for falling short of expectations just this morning. Still, I’d be up for seeing the series tackled again. It definitely deserves a good modern iteration, but it exists in a very strange place right now. Obviously there’s been nothing official from Square Enix yet, so it could be rubbish, but I’d wager that the film studio was banking on that release refreshing interest in their movie.